*Posted on The Gospel Coalition on August 22. 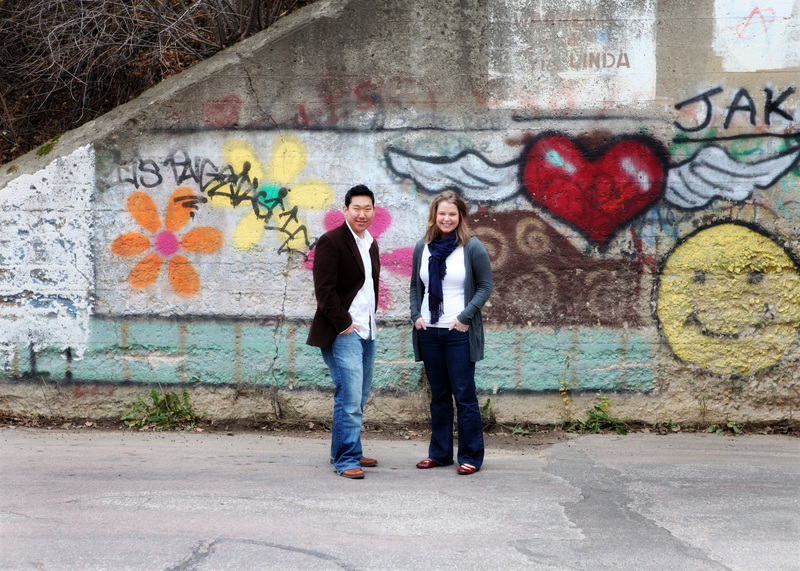 This post was written by a former Cru staff member and now pastor in Illinois. Jeff Brewer shares 15 ways incoming freshmen (or upperclassmen for that matter) can seek to glorify God as they head off to college this month. We appreciate his wisdom. We pray that the college students stepping on campus this fall work to model these things in their lives. Join us in this prayer. 1. There is no greater way you can spend your time, energy, and effort than pursuing Christ with all your heart. Education matters. That’s why you’re going to college. But pursuing Christ matters more. Remember, you can make only one thing your central aim in life. Make it the right thing. Ask God for much grace to keep him at the center. 2. Join a church. Find one that preaches the Word, loves worshiping God as a body, and seeks to make Christ known. Once you find it, join it and start building relationships. 3. Make a plan for your first semester about how you are going to be in the Word. If you use a Bible reading plan, put it in your schedule now. If you don’t currently have a plan for reading the Word, make one before you leave. 4. As now so then. Don’t spend your college career talking about how you will follow Christ in the future. Follow him now the way you want to follow him then. 5. Take advantage of the unique opportunity to get to know a wide variety of people from different backgrounds who have all been sovereignly put in the same dorm. Ask people to tell you their story. Sit, listen, and ask follow-up questions. Tell them you like to pray for people you’ve met and ask how you can pray for them. 6. Seek to radically love others as Christ did. Avoid gossips and gossiping. It’s gross. Loving like Christ isn’t. 7. Remember, following passionately after Christ is not going to be the norm (yes, sadly even at Christian colleges this is true). Look to God’s Word for the standard of what an authentic follower of Christ looks like and seek others who seek him in the same way. 8. Look for opportunities to serve. Serve broadly, serve lovingly, serve faithfully, and serve diligently. Look for where there is a need and dive in. 9. Remember that others are going through the same changes and new experiences. Look for opportunities to speak truth about the gospel to people who want a fresh start in college. Show them the hope in the gospel and forgiveness available to them. 10. Attend every opportunity for biblical teaching that you can. Go to a campus ministry’s weekly meeting and invite someone from your dorm to go with you. 11. Work hard. Remember the privilege that you are afforded and respond appropriately. Fight against laziness by remembering you are seeking to please Christ, not your professor (or mom or dad). 13. Take advantage of the variety of classes and opportunities that will be available to you only in college. Look for at least one class to take for the sheer love of learning about a subject you have never studied before (or may never have the time to study again). 14. Make a prayer list and pray for the people on it. Start with your roommate and the guys down the hall who don’t give a rip about Christ. 15. Pursue God joyfully. Is there anything greater than knowing Christ? Make the joy of pursuing Christ a hallmark of your life. Courtney here. This topic is arguably one of my favorite to talk about. Things are about to get real nerdy, but stay with me folks. This is good stuff. Back in 2001, Gallup introduced the first version of its online assessment, StrengthsFinder, to help people uncover their talents. Have you ever read the book? Looks like this. 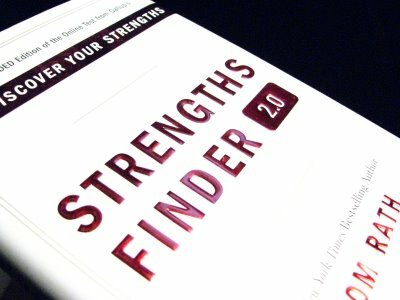 The purpose of StrengthsFinder is not to anoint you with strengths –– it simply helps you find the areas where you have the greatest potential to develop strengths. You should know that I don’t work for Gallup (though it’d be a sweet job), nor am I a paid advertiser (not even close). I’m just a believer. I passionately value the knowledge and coaching this provides. You know that cheesy maxim we’ve heard our whole life — Knowledge is Power? It’s totally true here. Knowledge, skills, and practice are important parts of the strengths equation. Without basic facts in your mind, and skills at your disposal, natural talent can go untapped. God gifted each of us with a particular skill set, and it’s our responsibility to be a good steward of those blessings. These are our top five. What are yours? Campus Crusade for Christ has a Web site called CruPress Green. It is home to all of the resources the Campus Ministry uses to disciple, lead, and train students. It’s pretty organized, easy to navigate, and free to download. 🙂 Thought we’d share it with you. Enjoy! Anyway, while perusing through the Blog section of the site today, I came across a post that grabbed my attention and shook me up. I’ll be processing and chewing on the thought for a few days — probably longer. Thought I’d bring you guys along for the ride. Usually I’m really good at skimming over great spiritual truths. But for some reason when I read that sentence from Tim Keller’s Counterfeit Gods, it stopped me in my tracks. MY IMMEDIATE THOUGHT: MY RELIGION IS MINISTRY AND THE INTERNET. That’s what I do and think about it in my spare quiet moments. If I have a gap in my day, I check email then Twitter. At night, while I ‘relax’ I’m reading ministry blogs and thinking through our ministry. I had to think about that for about three years before I figured it out. And he says, “That’s your God. Your religion is what you do with your solitude.” It’s a profound statement. I haven’t quite diagnosed what this means practically for me. Am I replacing the common male idol of “career” with “ministry”? Seeking to find life and recognition in ministry success? And what am I looking for on email and Twitter? Not sure what this thirst for “the new” means. Obviously it shows a discontent with the eternal. WHAT DO YOU DO WITH YOUR SOLITUDE? We’ve had some intense writer’s block lately. We know it comes with the territory when you’re the soul editor of your own blog. But it’s still frustrating. All that to say, it led me (Courtney) back to some writing “rules” I’ve taken from blog writers out there in Internet land. At times, we break these rules — but we strive to keep them as best we can. Write as if you’re talking to your best friend. Like my Mom always told me growing up, don’t be someone you’re not. Whether you write a sixteen-paragraph essay about daylight savings time and how outdated it is, a one-paragraph description of the explosion of popover batter in your kitchen, or a simple photo and caption, consider your blog a precious bloom that requires daily nurturing. If you water a plant once every two weeks, it will shrivel. Change things up. Offer a smorgasbord of content. Unless you’re, say, a food blog. And in that case, you should probably continue to blog about food. But never blog about the same recipe twice! Blogging is an insidiously sedentary activity, and if you blog daily you should take steps to markedly increase your daily movement. Plus, exercise is just good for you. Go bust a move. 5) Allow your boundaries to set themselves naturally. Don’t feel like you have to sit down and set rules about what you will and will not blog about from day one. Just blog, and see what feels comfortable for you. We’ve found that we tend to blog about the same things we talk to our friends about. We’ve also found that we tend not to blog about things we wouldn’t talk to our friends about. 6) Don’t be afraid to embarrass yourself. It’s funny. People will laugh. And it’s who you are. Erick and I do and say ridiculous things. Example, a few years ago, our friend Dan went to Hawaii on vacation. I wanted to make sure he was well prepared for the trip and asked, “Dan, what’s the exchange rate there?” Of course I was immediately met with uncontrollable laughter from my beloved. Tell your Internet friends these stories. They’ll love you more. 7) Try your best to spell words correctly and use proper grammar. I was an editor in a former life. Errors stick out to me like peanut butter cups in Easter baskets. I see them, and I want to take them away as quickly as possible. But, you don’t necessarily have to wig out about it. 8.) If you have writer’s block, push through and blog anyway. This is the rule we don’t always follow. But it’s a biggie. The Get to Know Us section of our blog was born on a day when inspiration was lost and I thought this blog was dumb. I’m glad we powered through. Our site takes a beating from all the “hits” it receives on “Get to Know Us” days. 9) Value every person who takes time out of their day to stop by your blog. Tell ‘em you love ‘em. Regularly.